Running a seminar is an excellent way in which to meet with existing and potential clients. It can be used to brief them on product launches, pipeline development or changes within the business or market. When inviting delegates you need to make them feel special from the very beginning. First Impressions Count A personalised invitation or phone call is a far better approach than a mass mailing. Delegates don't want to think that you're inviting hundreds of people. Instead you need to make them think that they were the first person you thought of. How you handle the registration process will also leave an impression on delegates. You need to instigate a streamlined process, whether this is online, over the phone or by post or email. In order to avoid any mistakes, you should put one person in charge of registrations. This should avoid the issue of delegates being chased up when they've already replied. Seminars are usually booked months in advance, so it's important to send a gentle reminder closer to the time. This can include an information pack, with a map to the conference venue, an agenda, meal options and accommodation choices. If you're sending this by email, it's a good idea to use HTML links for the address. This will make it easier for delegates with smartphones to access maps and directions. At The Event It is vital that employees attending the seminar are properly briefed. They are representing the company, so need to be dressed appropriately and must be ready to attend to the delegates' needs. Make sure everyone knows who is responsible for different areas, so that nothing is overlooked. There should be plenty of staff around at the registration areas to sign in delegates and deal with any questions. During breaks, staff should not simply disappear or talk amongst themselves. Encourage them to network with other guests to develop relationships. They should keep an eye out for any delegates standing alone and encourage them to join in the conversation. 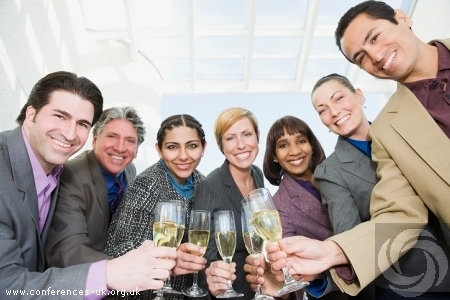 If there is a social aspect to the event, such as drinks or dinner, staff should be reminded that they're still working. They need to remain professional and limit their alcohol consumption. When you reach the end of the meeting it's important not to let anything slip. You want delegates to leave with a positive impression, so keep focused on them until everyone has left the conference venue. After The Event Make sure you don't let the momentum slide. Within a couple of days, each delegate needs to receive a brief thank you. If there were any positive leads, they should be followed up straight away by the appropriate team member. To reinforce the points made at the meeting, send all the delegates a follow up pack containing any presentations that were made. Meetings and events are a proven approach to marketing your business, provided that they are conducted correctly. Keep everything on a professional footing and make every guest feels special and you'll be on the right track.